This recipe comes courtesy of my good friend, Jen Caron. She’s a pretty talented lady, check out her website here. 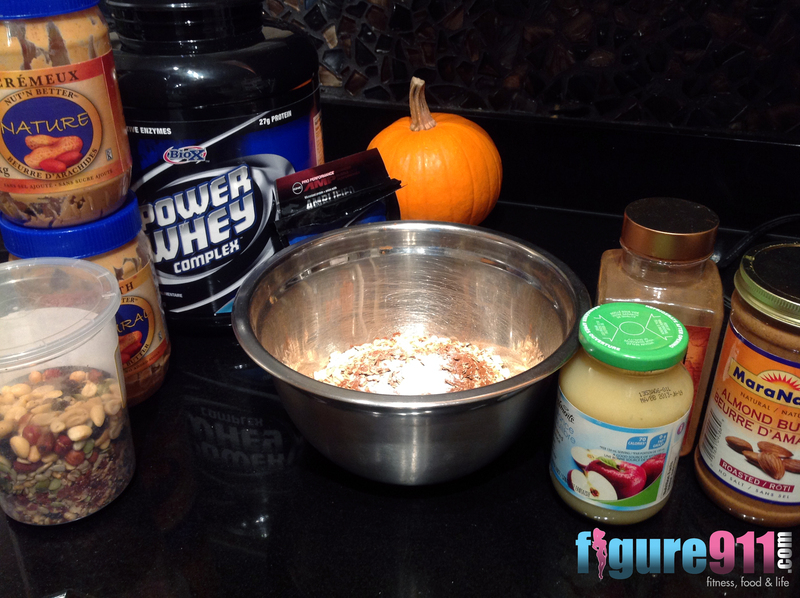 In a separate bowl, combine oats, protein powder, cinnamon, splenda/stevia. Stir well until blended. 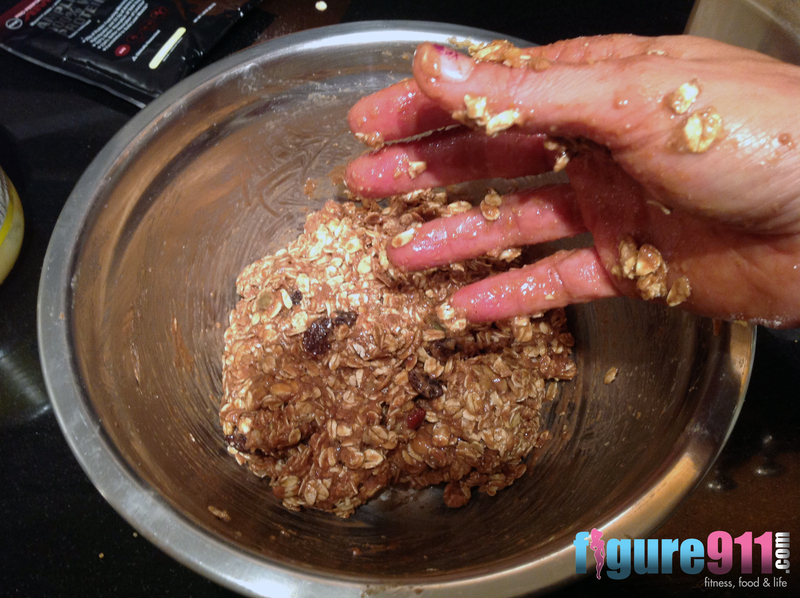 Add peanut butter, apple sauce, raisins and nuts and mix well. The consistency will be thick and similar to cookie dough. If too dry, add a little more apple sauce, but only a spoon at a time. A little goes a long way. If the bars are too soft, they will not form. 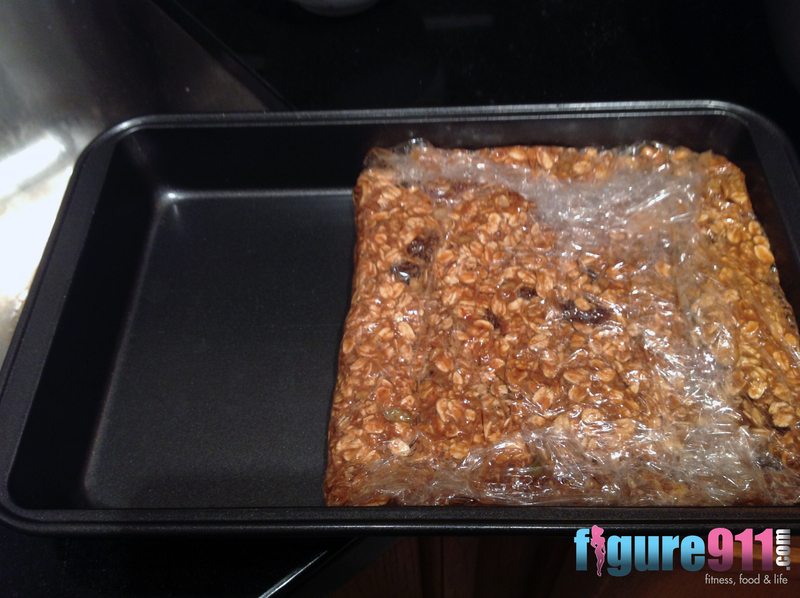 Line cling film in a 8×8 baking dish and press the protein bar mixture down into the dish until smooth. Place dish in freezer for 30 minutes. 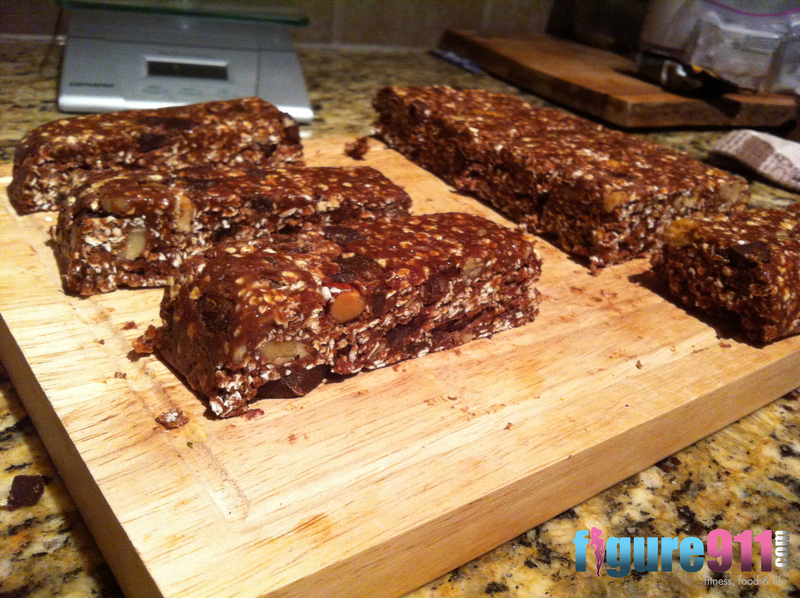 Remove from dish and cut into 10 bars. Individually wrap bars and keep in fridge. 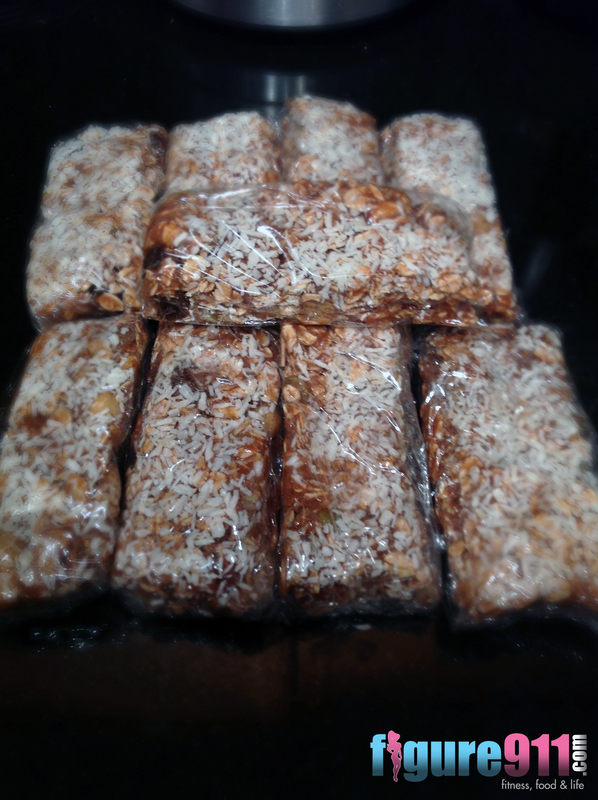 Other ingredients that can be added is: cocoa, dark chocolate pieces, unsweetened coconut flakes. Doubled up on cinnamon – the boy’s favourite spice! It was pretty messy to mix with anything other than my hands. So, that is what I did. When it was ready for the tray, I only had a 9×11 brownie tray. So, I laid out the cling film, dropped the ball of protein mixture in the middle, folded over the excess wrap and pressed into a square. This kept the mixture from sticking to EVERYTHING, and helped form it into a perfect square. I also forgot that I wanted to add coconut, so I just sprinkled it on top before placing the pan in the freezer to set. Okay, okay… hers look MUCH better than mine! But, I’m pretty sure they taste just as good! So going to try these once comp season is done. My kids will love them I’m sure. I think 1/2 of one is a close substitute for the avocado shakes. so 1 cup pb total? Yes, 1 cup. Let us know how yours turn out! I always forget to add coconut until they’re in the freezer. I’m glad I add it in.